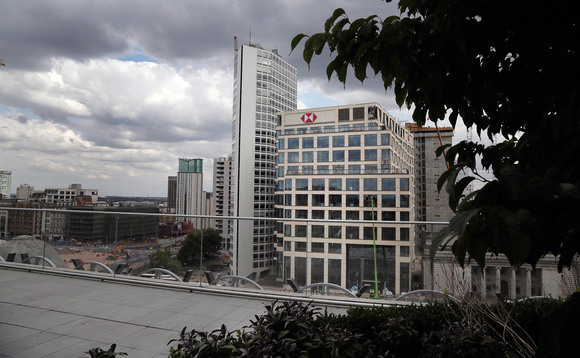 HSBC has so far moved only a "tiny" number of jobs to Paris in order to deal with Brexit as the UK's exit from the European Union is delayed., chief executive John Flint said. The total number of jobs moved is likely fewer than 100 of as many as 1,000 the bank has said it could ultimately transfer, Flint told Reuters on the sidelines of the bank's annual shareholders' meeting in Birmingham. "I would imagine it's tens, I don't know exactly but it's a tiny number of people who have moved so far," Flint said. "We need to get a bit more clarity on what Brexit actually means and we'll be able to finalise our plans," he added, accrding to The Times. I would imagine it’s tens, I don’t know exactly but it’s a tiny number of people who have moved so far"
Flint said yesterday that only "a tiny number of people will have moved" to HSBC's Paris operation, less than a hundred so far. Last week EU leaders put off the UK's departure until the end of October to give parliament time to come to an agreement. Ewen Stevenson, HSBC's finance chief, that this "inevitably" meant that the lender would slow down the relocations. The update from Europe's biggest bank on how many roles it has moved so far comes amid fears in Britain that Brexit could ultimately lead to a decline in London's status as the continent's leading financial hub. Luxembourg has pulled in around a third of all money flowing out of UK funds into the European Union since the Brexit referendum. UK investors have shifted a massive £62bn into other EU jurisdictions since Britain voted to leave the bloc in June 2016, according to figures from funds transaction network Calastone.